I’m so sorry … didn’t realize that I had a computer issue and that my blog did not post my card!! Now … let’s get to that card I was telling you about on Friday!! I said I was going to combine Paper Pumpkin with a Sale-a-bration item!! I don’t know about you ~ but I love this card!! Can you find the Pumpkin? It is our greeting! 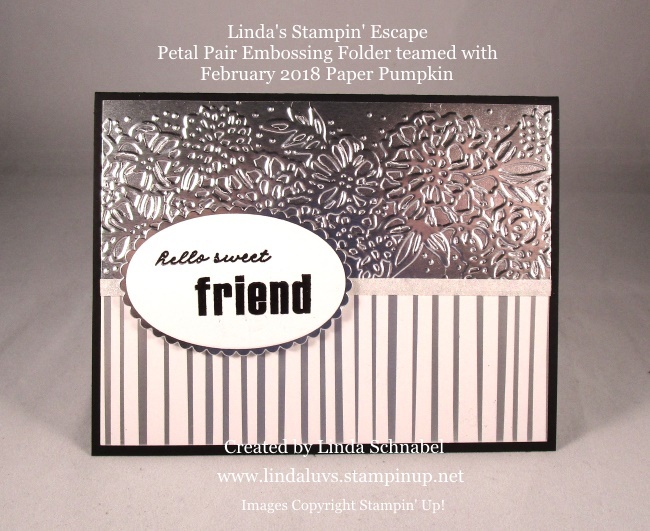 And you will see some sweet little flowers stamped on the inside that surprisingly look like the beautiful embossing folder; Petal Pair Textured Impressions Embossing Folder. What ties the two halves together is the … you guessed it, the Myth’s and Magic Washi Tape!! The lower half of our card is our Sale-a-bration item; FREE with a $50 purchase. It’s the stunning Springtime Foil Designer Series Paper. I love the way the light reflects upon the foils …. 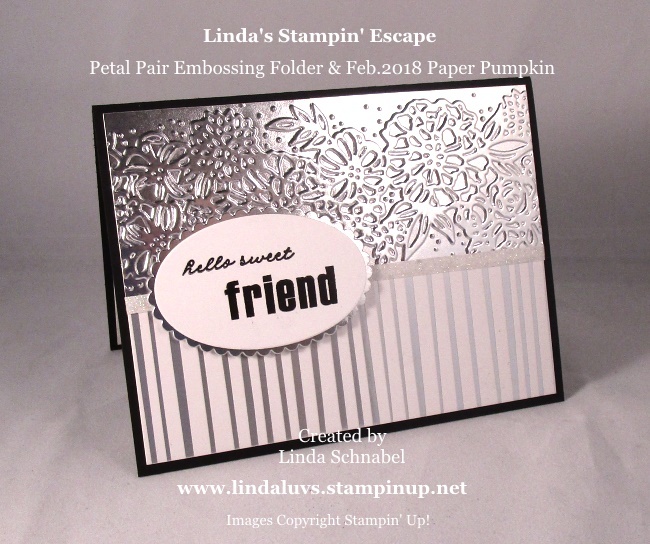 You can see how the embossed flowers look so much like the flowers stamped from the Paper Pumpkin stamp set … who would have thought! Amazing right!! 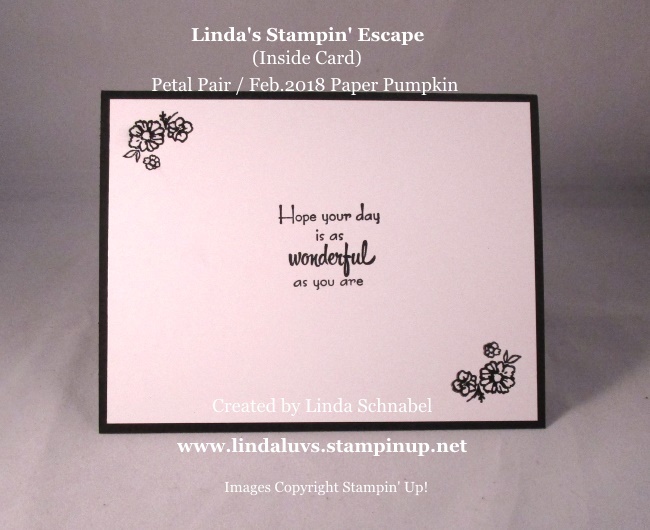 I know Stampin’ Up! has coordinating products but this totally takes it to the next level. And … the verbiage comes from the “A Mother’s Flair” stamp set! If your not a subscriber, try it now. Sign up before March 10th and get in on the Fun and the FREE Gift!! Oh yes, and if you purchase a subscription below from me (3mo. / 6mo. / or a 1 year subscription) I have a Gift for YOU as well!! Thank you for hanging out and waiting for my post to show up on my blog. There will be plenty more to come this week!! « Fun and easy … all in one box!